As is the general case with D&D role-playing games, DeathKeep will have you locate and overcome evil threatening the realm. 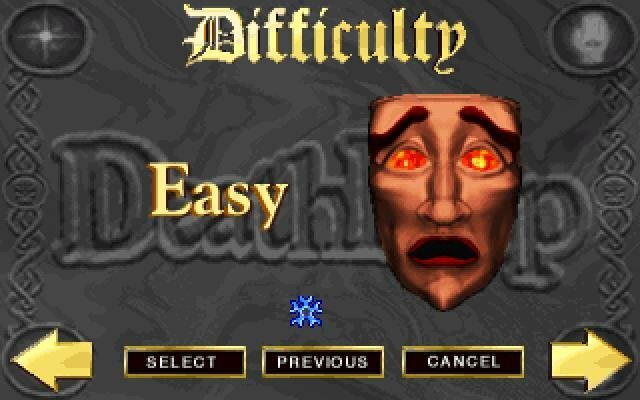 As well as allowing for you to choose between three characters, DeathKeep provides three difficulty levels: easy, moderate and hard. 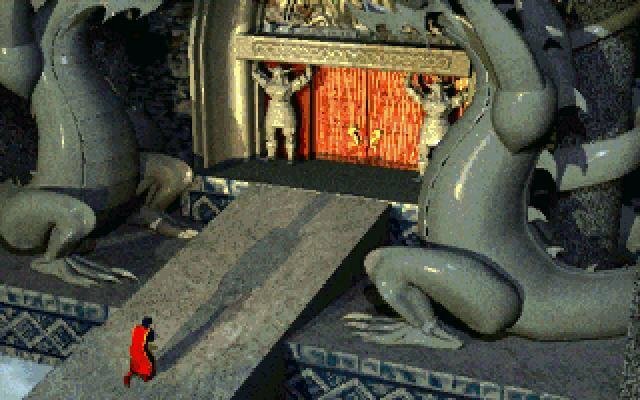 Though the ‘hard’ level comes with a lot more monsters, it wasn’t too harrowing. 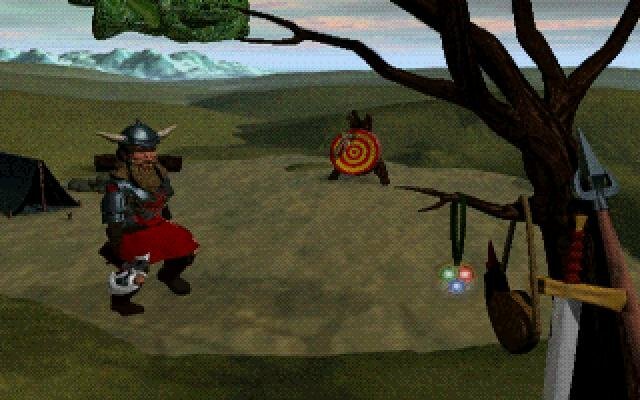 The Easy would have made this game a good intro for novice retro RPG players were it not for some lousy game design, including an uninspired narrative. Also, as far as novices are concerned (and maybe even many experienced roleplayers) the writers of DeathKeep have committed a fatal error. 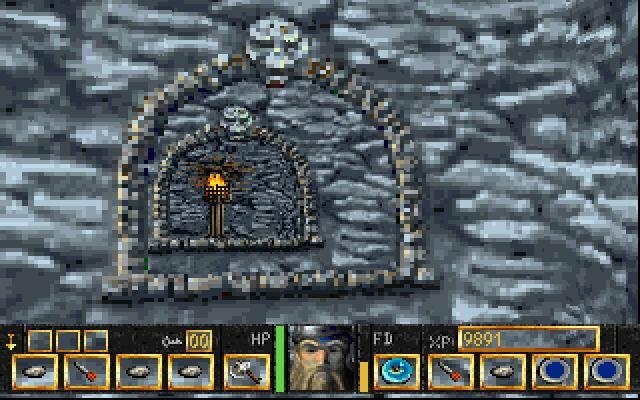 Play begins in the most frustrating of locations — the ice caverns — where controlling the movement of your character is near impossible. 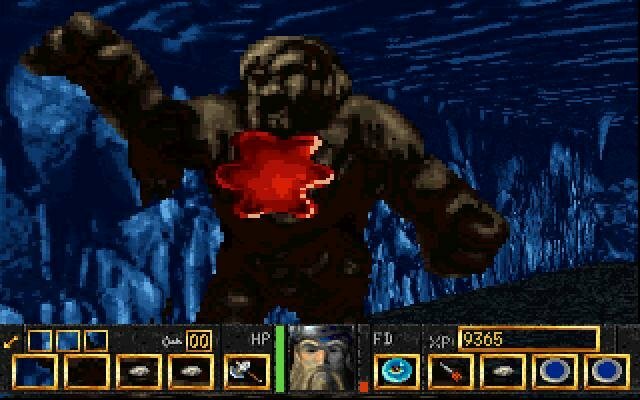 It just wasn’t fun for me trying to get used to the game interface whilst endlessly sliding out of control and into dangerous, health sapping pools of icy water. 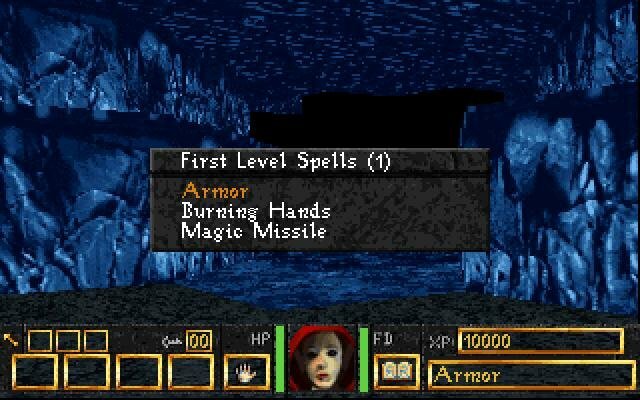 Movement in this game can be controlled by either keyboard or mouse. 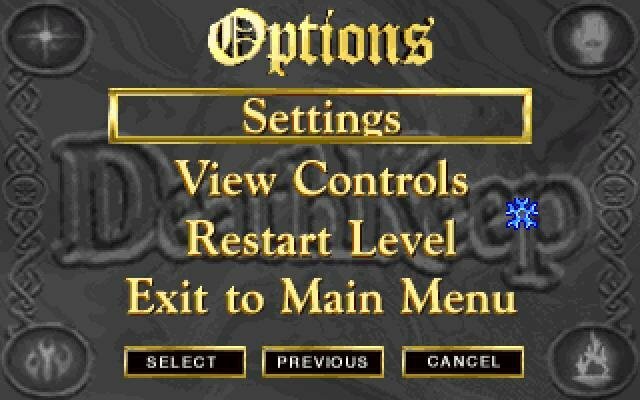 There is no cursor on the screen at all, either for movement (an arrow) or for carrying out actions. 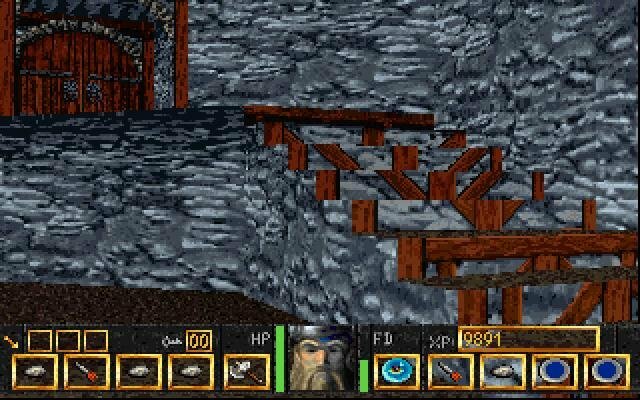 You pick up items automatically when you walk over them or, alternatively, you can opt for the game to display a prompt asking you whether or not you want a particular item. 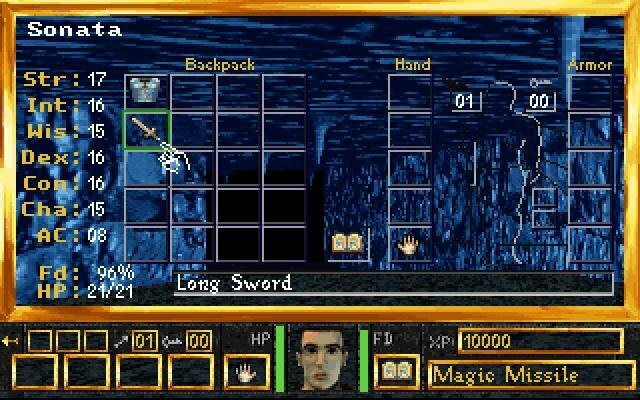 I found the latter mode more manageable as it was annoying picking up every single thing, and then having to find a place to drop off excess items where I wasn’t likely to pass by and promptly gather them up again. Although, as far as I’m concerned, the lack of an action-sensitive cursor on screen somehow limits game involvement. You never actually ‘feel’ as if you are ‘doing’ things because you can never ‘really’ hold any object in your hand and do anything with it. 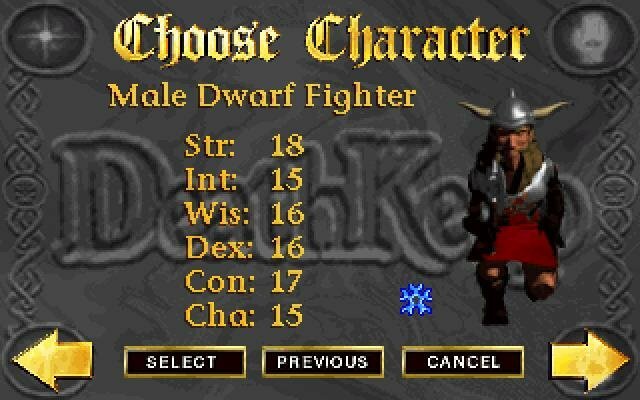 As with all role-playing games, you’ll have character stats and experience points. 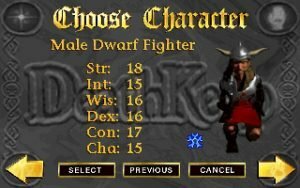 Experience obviously increases and gives your alter ego more levels, but your actual character statistics never change. Once a mage with a 15 wisdom level, always a mage with a 15 wisdom level, no matter how much experience you gain. Therefore these stats are more or less redundant. 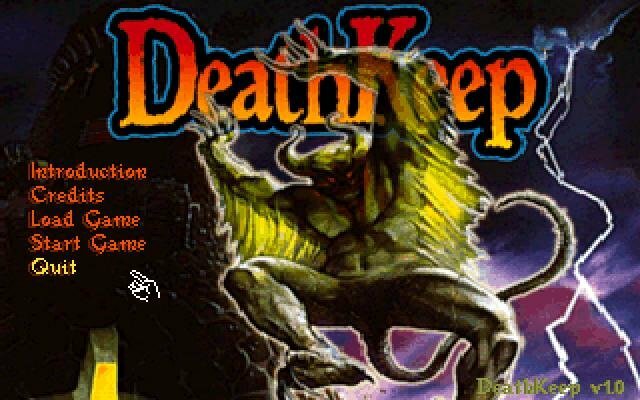 The DeathKeep box cover promises ‘over 25 eerie dungeons — each with 8 levels within’ and, although you don’t actually traverse all 25 dungeons (there are alternative routes cutting out a few of them) it is still a reasonably long game. 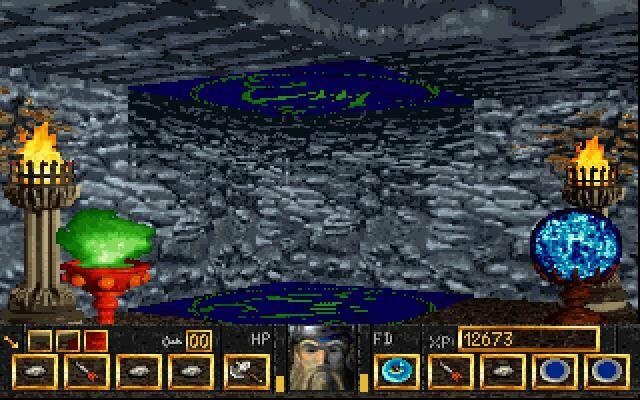 Each dungeon is separate and unique in that you can’t jump around from one to the other. When you have completed each one you must exit through a portal, and there is no return. 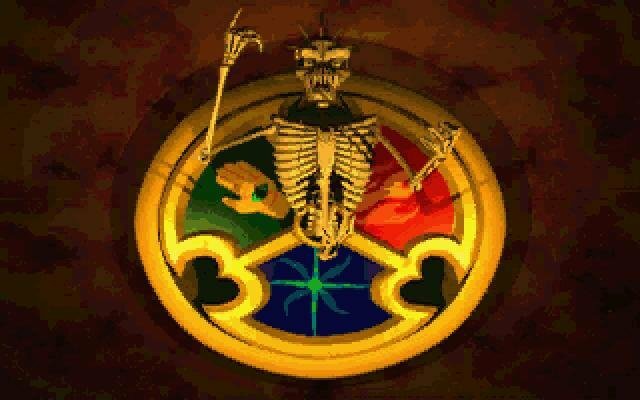 You then have the opportunity to repeat that particular dungeon/level or to continue. 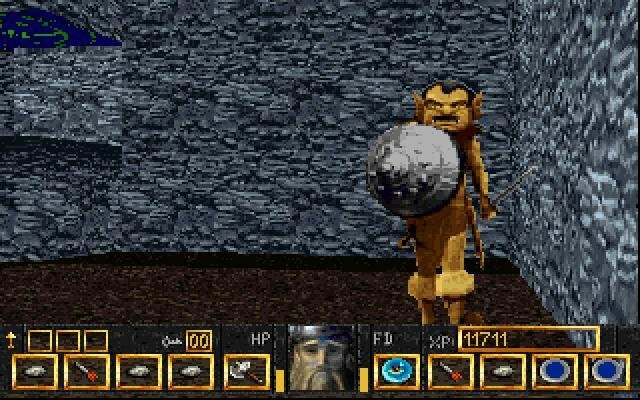 Overall this is a very ordinary and dated role-playing game. 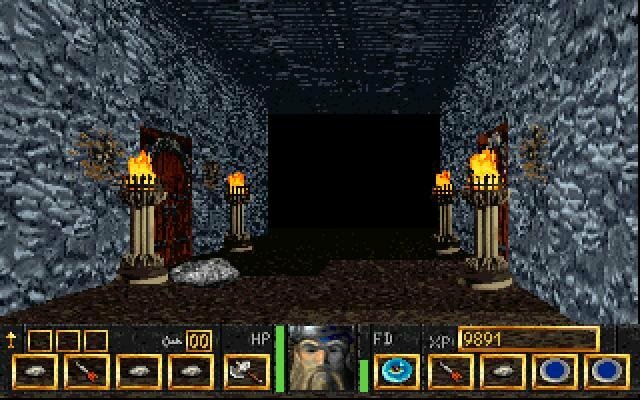 While it isn’t that difficult on purpose, the clunky annoyances of the interface and game design make it very frustrating to enjoy Deathkeep in the long run.